We had some special visitors this morning! 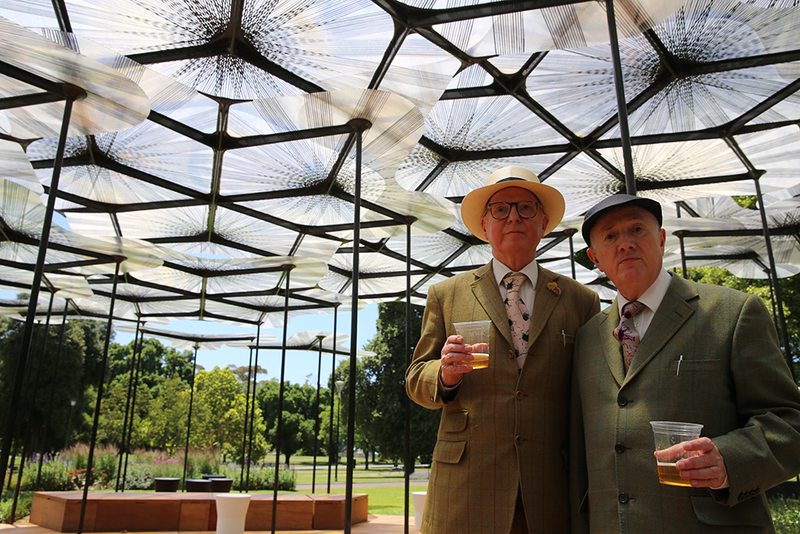 Passersby and Kiosk regulars were startled by the sight of celebrated British artists Gilbert & George, who dropped in to MPavilion today for beer and lamingtons. 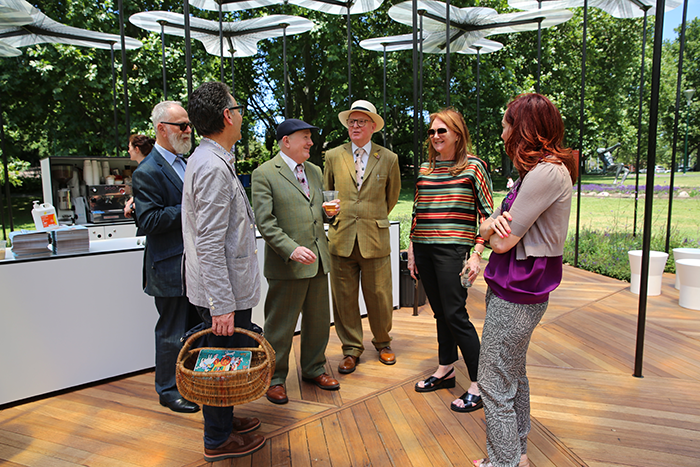 Gilbert had requested the visit because his nephew happened to work at Future Systems, the previous firm of MPavilion’s 2015 architect Amanda Levete (now the principal of London’s AL_A). The pair—who had flown from cool and cloudy Hobart this morning after opening Gilbert & George: The Art Exhibition at MONA—wore their trademark natty green wool suits and flat caps, undaunted by today’s Melbourne heat! 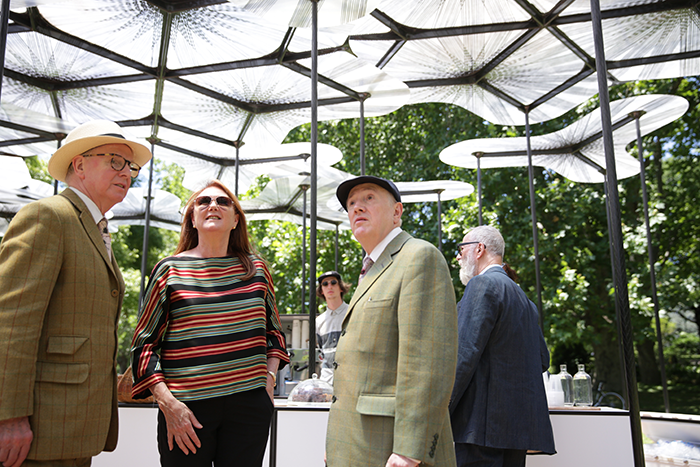 They chatted with staff about MPavilion’s upcoming Serpentine-inspired ‘Transformation’ discussions, scheduled as part of MRelay in January, and posed for photos with art patrons Naomi Milgrom and John Kaldor. They also signed the cheekily eye-catching dress of staff member Jessie French, itself hand-painted by local Melbourne artist Ruth O’Leary. Thanks for dropping by, Gilbert & George! We hope you enjoyed the lamingtons.